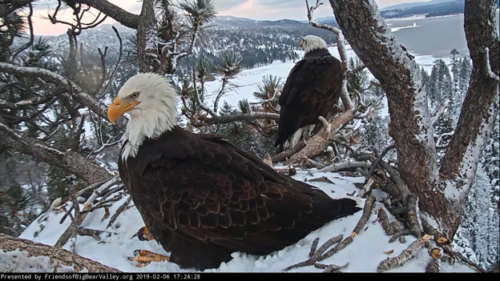 UPDATE: EAGLE COUNT POSTPONED DUE TO WEATHER – Big Bear Bald Eagles Are Mating. UPDATE: Due to the incoming storm and the already-limited parking conditions prompted by storms earlier this week, the Big Bear and Lake Arrowhead counts have been canceled. 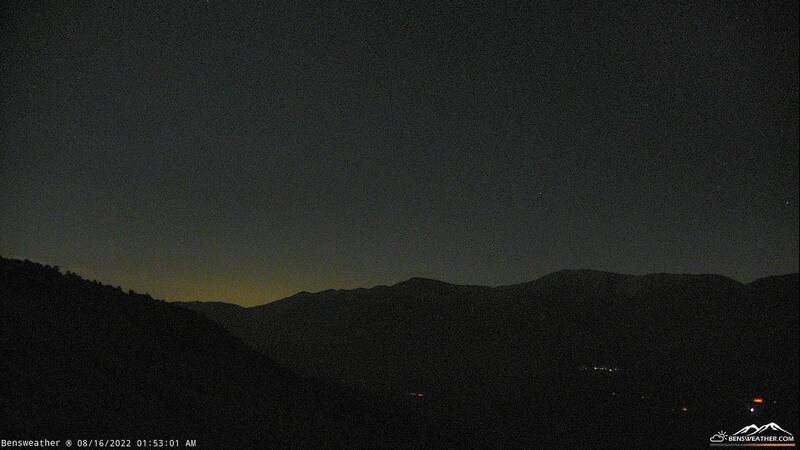 The counts at Lake Hemet, Silverwood Lake and Lake Perris are still scheduled. Additionally, the 11 a.m. bald eagle talk at the Big Bear Discovery Center is also still scheduled. 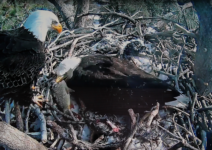 Big Bear, CA – The live webcam placed on a bald eagle nest here in the Big Bear Valley yesterday morning showed one eagle jump onto the back of another for a few seconds. While it may have looked like rambunctious play, it was actually mating, or at least an attempt. 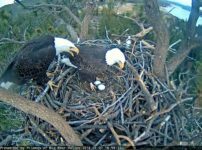 Last year, two eggs were laid at the nest and both hatched live online. 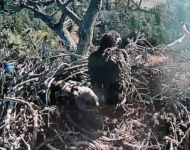 Later in the winter, however, one eaglet did not survive a winter storm. The public has a chance to help conserve the local bald eagle population by participating at this month’s winter bald eagle count on Sat., Feb. 9, which takes place at five locations across the Inland Empire in collaboration with California State Parks. This year is the 40th anniversary of the winter count, which takes place once a month, Dec. through March. No reservations are needed; just show up at 8 a.m. at the Big Bear Discovery Center on North Shore Drive (Hwy 38) for orientation with binoculars and a way to keep time. And don’t forget to dress for winter weather. (Important note: With the storm in the forecast and deep snow already present in Lake Arrowhead and Big Bear, it is possible the count at these locations will be canceled. A determination will be made on Friday afternoon.) Please call 909-382-2832 for cancelation due to winter weather conditions – an outgoing message will be left by 6:00 pm Friday, Feb. 8, on the evening before of the count, if it has to be canceled due to snow. There will also be a free slideshow presentation about bald eagles at 11 a.m. at the Discovery Center after the count.